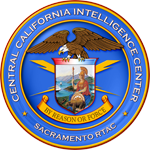 Welcome to the California State Threat Assessment System home page. Foster a collaborative effort to enhance the reporting, tracking, analysis, and assessment of criminal threat information and suspicious activity. Produce and share timely and actionable homeland security information. Enhance the safety of the citizens of California, while rigorously protecting their privacy, civil rights, and civil liberties.